I met Dr. Neal Schultz earlier this summer and we got to chatting about the size of my pores on each side of my nose. I had never really noticed my pores in the past (were they really never noticeable or did I just really never notice??) but very recently, they’ve become something that I find myself staring at and pondering. Makes me wonder: Is this some kind of sick bridezilla thing — to notice something that was never an issue before? But now I can’t go back and live in that completely blissful unawareness. The weird thing is people tell me I have great skin all the time, especially post-facial or when using a touch of strategically placed highlighter – and I really don’t have bad skin – never struggled with acne or breakouts, almost never burn, not sensitive or reactive unless I abuse it, etc. But this is a texture thing that I do not want to get worse. And I do not want to see in photos. Especially as a bride. This is a time in my life with countless photos opps and where things get… magnified… literally and figuratively. So Dr. Schultz examined my face and said there are two things people need for skin and, pretty much, two alone. Suncreen and glycolic. I already use high-SPF broad-spectrum sunscreen year-round every day, but the glycolic, he felt, if used regularly and properly would make a world of difference. Now Dr. Schultz does 2 minute in-office glycolic treatments if you go in to see him – but really it’s about the everyday after-care. I went home from our first meeting with this. 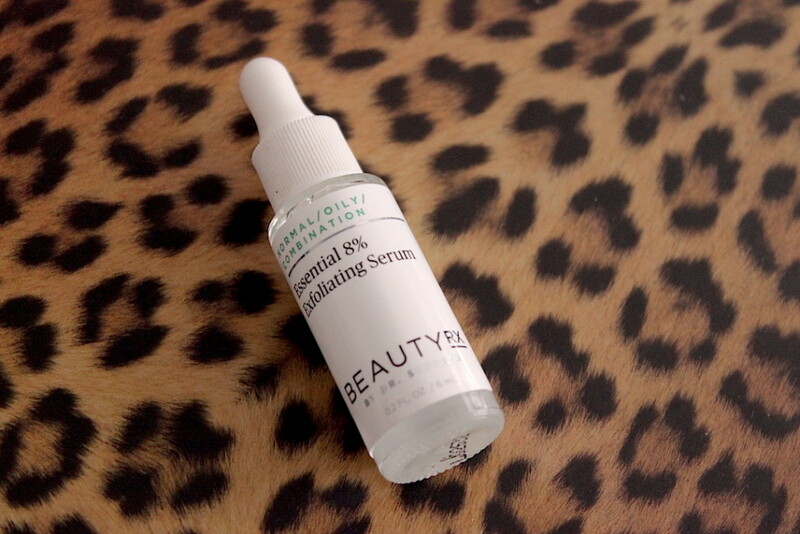 The BeautyRx by Dr. Neal Schultz Essential 8% Exfoliating Serum ($65) is pH-adjusted gylcolic “enhanced with tetrafoliant.” It’s considered “starter-strength” and won’t irritate skin but will gently remove the top layer of dead skin and anything clogging your pores. As a result, it reduces the appearance of enlarged pores, fades dark spots and can soften fine lines. Over time, if used consistently, you can achieve more even-toned, softer, brighter, younger-looking skin. You apply the serum nightly (4-6 drops using your fingertips to cover the full face) and don’t need a moisturizer but can use one after if it’s gentle (without potent active ingredients). I used the serum daily for 2-3 weeks and started to noticed a difference. Nothing crazy dramatic, but visible improvement. When I went back to see Dr. Schultz for him to examine my progress and do a follow-up 2-minute treatment, one of the nurses mentioned another product she uses and loves for her pores. Enter the Pore Minimizing Complex. This product is available in this jar & spatula form in-office only but – fear not, my non-NYC divas – it is sold online and on HSN in a stick version. The product is EXACTLY identical just in different packaging and this is what the stick looks like. 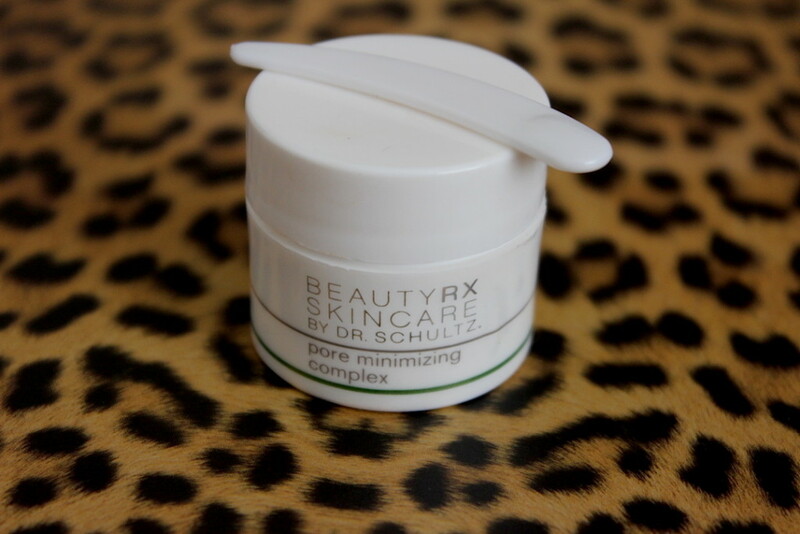 Beauty Rx Dermstick for Pores ($29) is a miracle product. Period. It. Will. Make. Your. Pores. Appear. Smaller. 100% of subjects in the clinicals saw a decrease. That’s med speak for EVERYONE. And while it packs a punch, it’s approved for all skin types. The product contains glycolic acid, of course, along with pumpkin seed extract and tea tree oil. To apply, you smooth a thin layer over areas with enlarged pores at bedtime. Only the smallest of small amounts is need to cover the areas. You can also alternate nights of using it (one on, one off). You will probably feel a little tingling. I definitely do. And you may see the area turn a little pink. I have olive skin and I do. Then you go to sleep and wake up and stare at your pores. But now, it’s a happier experience. The mornings after I use the product I cannot believe how beautifully my makeup glides right over my skin and how little and tight my pores look. This results in schoolgirl wonderment and amazement. I ooh and aah in my head. This is the stuff the clapping hands emoji is made for. Seriously, go to this site to see patient’s before and after photos! Glycolic will give results. Some derms and skin specialists just dispute whether it’s worth the risk of skin cancer. It makes you more vulnerable to the sun. I still would choose it any day over a Retin A. To her point, Dr. Schultz is very adamant about suncare. Glycolic will increase the skin’s sensitivity to sun and there is greater risk of sunburn and sun damage. You MUST wear sunscreen and avoid the sun when possible if you add this product to your skincare routine. MUST. But honestly, you should be doing this already. No excuses. So there you have it. Case cracked. The solution to enlarged pores. For $29 in a stick. Hallelujah. NOTE: This post is not sponsored. All thoughts are unbiased and my own. Samples were provided for editorial consideration and/or my use as a professional makeup artist. All photos, minus the product shot of Dermstick, are property of DIVAlicious. Is that plant placenta on your face, or is your skin just happy to see me?